It can be frustrating when your favourite cosmetic product breaks but you can still salvage the situation with a little bit of creativity. You can revive a dried out mascara by adding five drops of saline solution or eye drops to the bottle and mixing it with the wand. You’ll be amazed at how much longer your mascara will last! Bring your compact back to life by putting clingfilm over the broken powder and crush it with the back of a spoon. Add two to three drops of rubbing alcohol and smooth the mixture together with a spoon. Leave to set for 30 minutes and it will be as good as new. If you find your blusher has had its day you can use what’s left of the blush to create a cream blusher. Empty the remaining powder into a pot and mix it with your favourite moisturiser to form a paste. Add some foundation primer to give it some extra hold and mix it up until your’re happy with the colour and texture. Get inventive with broken powder shadows by crushing it into a very fine powder. When finished transfer it into a small acrylic pot and you have a loose powder eyeshadow. 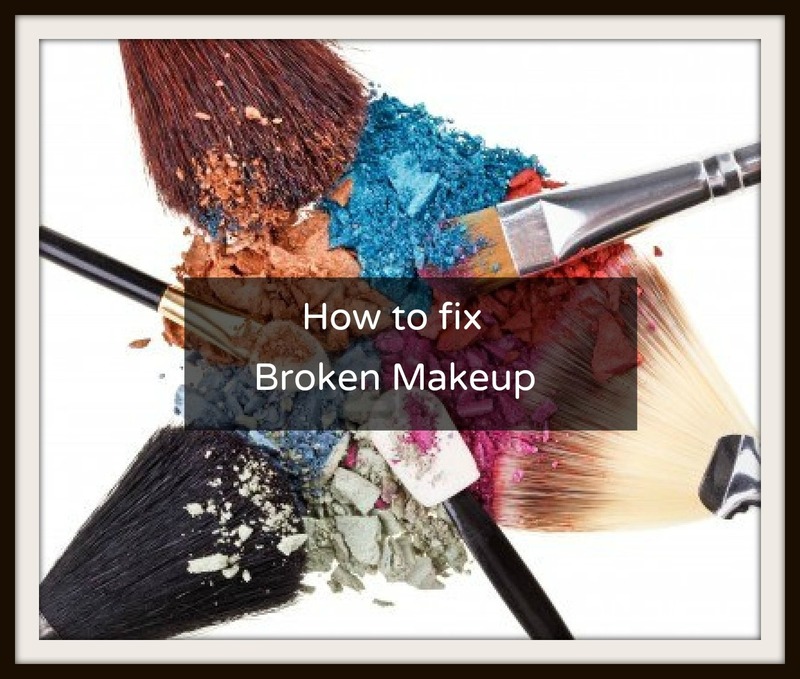 Use a lighter to warm the base of your broken lipstick so it melts slightly then press it back onto the remaining part. Place it in the fridge for a hour and the lipstick should have molded together giving your lippy a new lease of life. If it’s too far gone to be repaired you can create your own lipstick palette. You can get a kit by Japonesque and use each compartment to create a brand new makeup tool.